Walt Disney Studios is located in Marne-la-Vallée, which is east of the city of Paris. 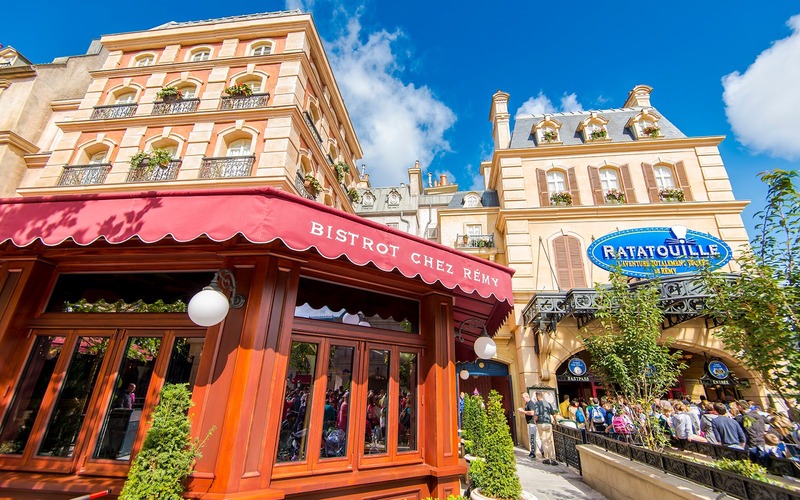 New for 2014 is the Ratatouille mini-land, which recreates, well, part of the city of Paris. If having a replica of a city whose real version is located a half hour drive away seems odd, well, consider that Disney California Adventure was an ode to the state of California located in the state of California. 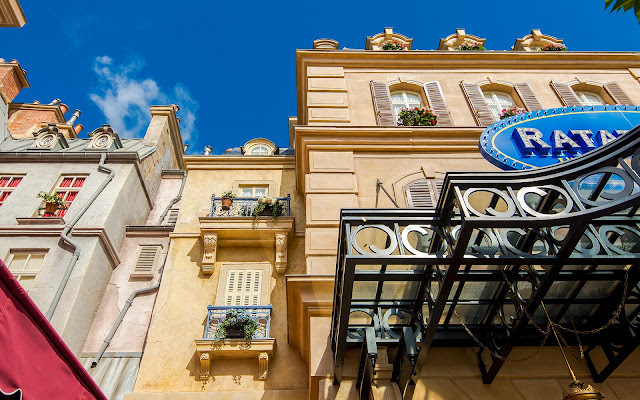 As with DCA, the Ratatouille mini-land at Walt Disney Studios is a romanticized version of the source material. 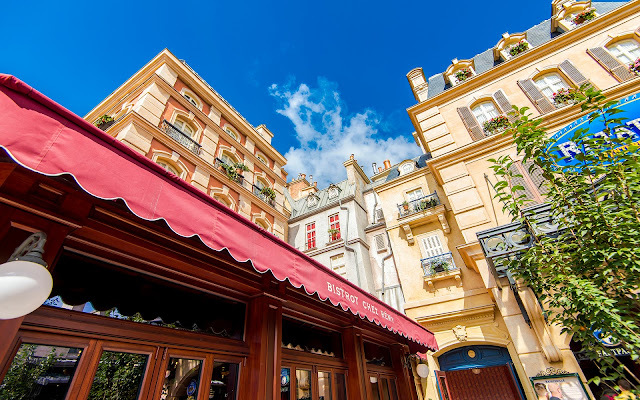 Here, the Paris from the Pixar movie is brought to 3D life--but scrubbed and brightened up with Disney pixie dust. And I have to admit... it works. The combination of forced perspective and welcoming and warm color palettes reiterates the romance of the city, and the architectural details add depth and richness to the atmosphere. The ride itself is quite fun too, which makes these facades icing on the cake!